Circulating pump-Grunfos ALPHA 15 is the standard by which all other variable speed circulating pumps are measured. 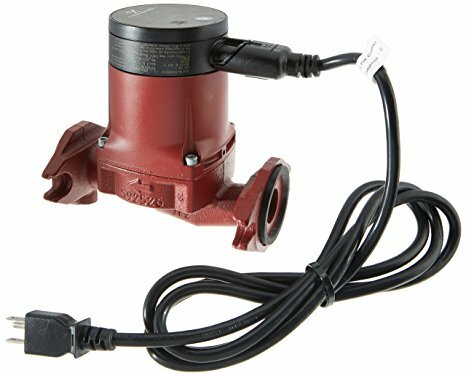 The ALPHA 15 has a cast iron body with a permanent magnetic motor that allows it reduce energy consumption by over 50% compared to standard circulation pumps. the LC model includes a standard 115 VAC Nema power chord. 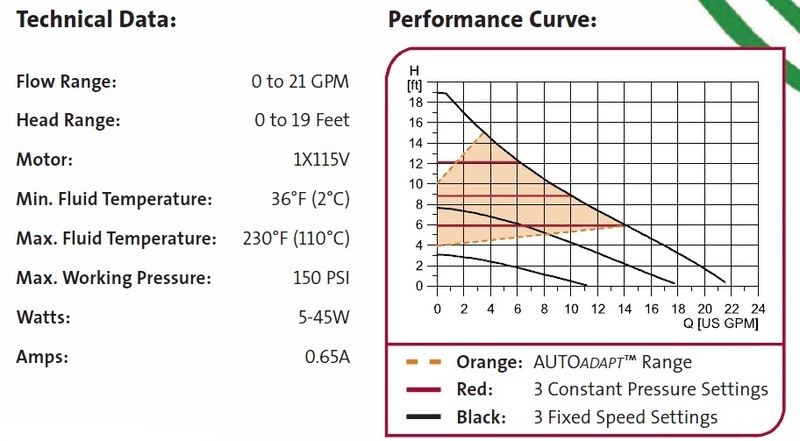 AUTOADAPT measures the system changes and automatically adapts to maximize the energy or to maintain a certain flow rate. Great for multiple zones that open and close at different times as the AUTOADAPT will sense the pressure drop increases the pump speed to compensate for added zones.